Will you go all in with your SBA List team to push this bill through the House, through the Senate, and to President Trump’s desk? The Pain Capable Unborn Child Protection Act would ban abortions after 5 months, a point by which science shows unborn children can feel pain. The bill actually passed through the house in the last Congress (2015). But we need to pass it again through the House and send it to the Senate to build momentum to get it to the President’s desk! Thankfully a very generous friend of SBA List just stepped forward and made a $50,000 Matching Challenge to you and other SBA List members. He will match every gift you make by midnight on September 30, dollar-for-dollar. Your gift of $5 will be doubled to become $10. Your gift of $25 will double to become $50. And your gift of $100 will be doubled to have $200 worth of impact for the cause of LIFE! Thank you for standing alongside me and the rest of your SBA List team as together we raise our voices for unborn children! P.S. I’ve included some photos from today’s press conference below. 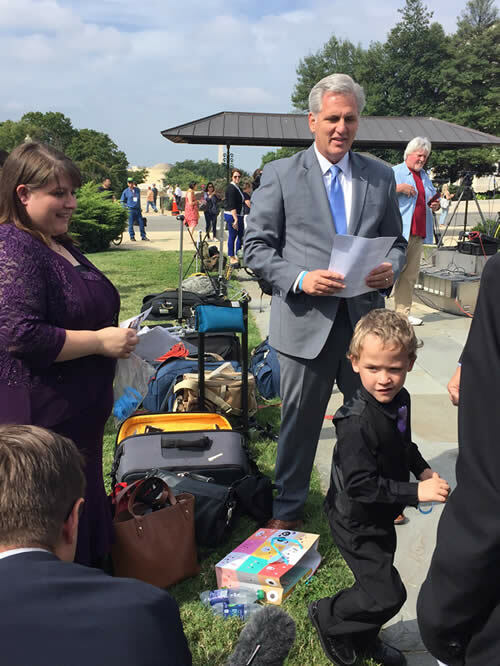 Majority Leader Kevin McCarthy meets 5-year-old Micah Pickering who was born at 22 weeks. 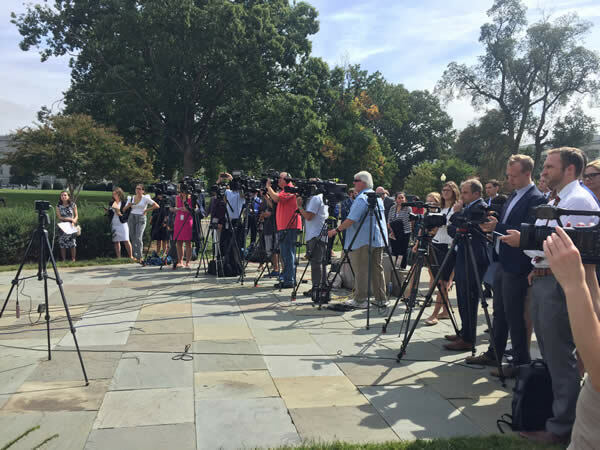 At the press conference today I shared the disturbing fact that the U.S. is one of only seven nations in the World to allow elective abortions after 5 months. 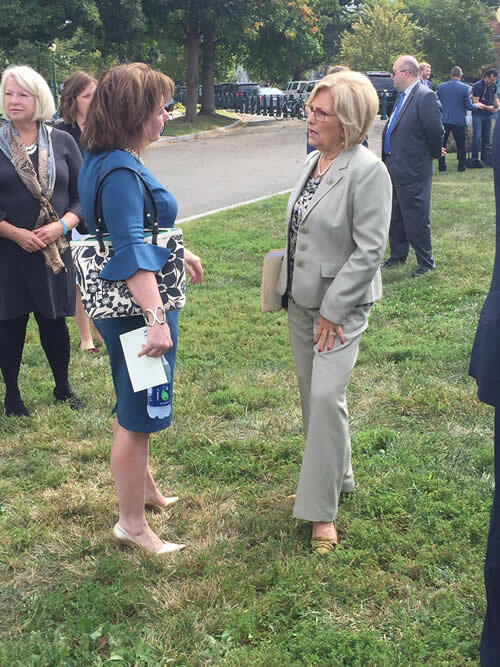 Representative Diane Black and I discussing the bill after the press conference earlier today. We had such a great media presence at the press conference today! I counted 12 news cameras. Tagged a point by which science shows unborn children can feel pain, ban abortions after 5 months, Pain-Capable Unborn Child Protection Act, raise our voices for unborn children! 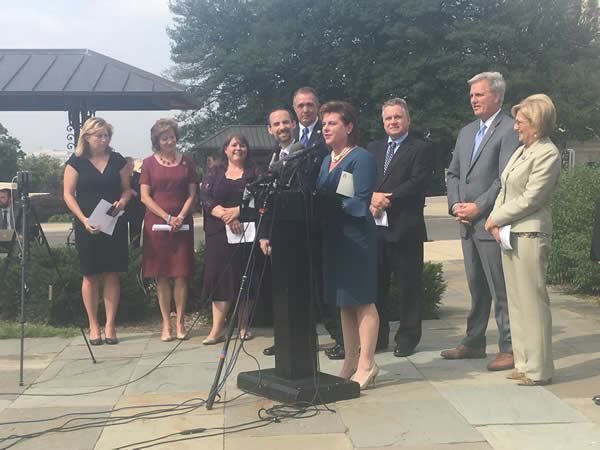 WASHINGTON – At a press conference led by House Majority Leader Kevin McCarthy (R-Calif.), National Right to Life, the federation of state right-to-life organizations and over 3,000 local chapters, urged members of Congress to pass the Pain-Capable Unborn Child Protection Act (H.R. 36). Rep. McCarthy announced that the U.S. House would soon take up consideration of the bill. “This legislation has saved lives at a state level and would save thousands of unborn babies annually from terribly painful deaths,” said Jennifer Popik, J.D., National Right to Life legislative director. “Now is the time to say that these babies need to be protected across the country.” Since 2010, National Right to Life and its state affiliates have led the effort to protect pain-capable unborn children, starting with enactment of model legislation in Nebraska. Sixteen states have enacted the National Right to Life model legislation, and the law is currently in effect in 15. The Pain-Capable Unborn Child Protection Act (H.R. 36) was developed from National Right to Life’s model. The legislation has previously passed the U.S. House of Representatives and has garnered a majority of votes in the U.S. Senate. The Pain-Capable Unborn Child Protection Act continues to be one of the right-to-life movement’s top congressional priorities for the 115th Congress. Like the state bills, the proposed federal law would generally extend legal protect to unborn humans beginning at 20 weeks fetal age (22 weeks of pregnancy), based on congressional findings that by that point (and even earlier) the unborn child has the capacity to experience great pain during an abortion. National Right to Life President Carol Tobias said, “We are proud to stand with Leader McCarthy, Rep. Trent Franks (R-Ariz.), and so many other congressional pro-life heroes, in encouraging the U.S. House to protect pain-capable unborn children. One-fourth of premature infants now survive when born at this stage – and there is strong evidence that were a child to be aborted at that stage, they would experience great pain, as they are torn limb from limb in late abortions.” A 2015 paper by Tobias challenging “media myths” about the bill is available here. In a nationwide poll of 1,623 registered voters in November 2014, The Quinnipiac University Poll found that 60% would support a law such as the Pain-Capable Unborn Child Protection Act prohibiting abortion after 20 weeks, while only 33% opposed such legislation. Women voters split 59-35% in support of such a law, while independent voters supported it by 56-36%. A two-page summary of key points about the Pain-Capable Unborn Child Protection Act is available here. Some of the extensive evidence that unborn children have the capacity to experience pain, at least by 20 weeks fetal age, is available on the National Right to Life website at www.nrlc.org/abortion/fetalpain and also here: www.doctorsonfetalpain.com. For social media purposes, this release is posted at: http://www.nrlc.org/communications/releases/2017/release092617/ Founded in 1968, National Right to Life, the federation of 50 state right-to-life affiliates and more than 3,000 local chapters, is the nation’s oldest and largest grassroots pro-life organization. Recognized as the flagship of the pro-life movement, NRLC works through legislation and education to protect innocent human life from abortion, infanticide, assisted suicide and euthanasia. The final presidential debate featured a back-and-forth on abortion, including on the not so rare and misunderstood late-term abortion procedure as well as the partial-birth abortion procedure, which resulted in annually 5,000 abortions, mostly on healthy babies, before a federal ban was passed. As Live Action News’ Kristi Burton Brown pointed out, despite a federal ban, partial-birth abortion is still legal in certain states and certain situations. So if you’re anything like me, you may have felt discouraged to see your social media feed full of articles claiming that late-term abortions are only performed for dire medical reasons — or worse, the blatant lie that 9 month abortions don’t even occur. Perhaps the question we should be asking ourselves is, “Why the denial? Why is the pro-abortion media so determined to pretend that third trimester abortions don’t happen?”Several media outlets picked up the story of a Utah woman who incorrectly claimed that her C-section was a late-term abortion. 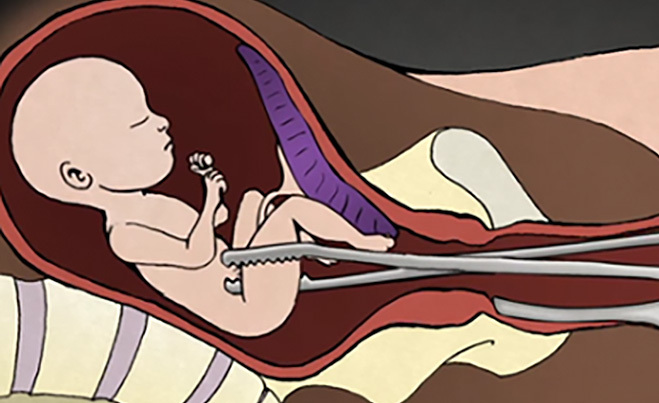 The process of inducing labor or performing a C-section to save the life of the mother, which tragically but unintentionally killed the child, is not an abortion. This cannot be emphasized enough. Vox and The Huffington Post ran articles by a woman who was the one to tweet out that these abortions don’t occur (debunked here). The Inquistr referred to Vox in its own reporting. Additionally, Media Matters For America mocked people like Fox News commentator Bill O’Reilly, who voiced his opposition to late-term and partial-birth abortions. Newsbusters covered the deceptive media, also referencing Rolling Stone and NPR. At least 20 news sites have covered the tragedy of late-term and partial-birth abortion, but in doing so, many have misled their readers by mischaracterizing the presidential candidates’ positions on the issue, or by justifying late-term abortions, or even by inaccurately reporting on how often and why late-term abortions occur. As horrifying as it may seem, the United States is one of only four nations where abortion is allowed until birth, for any reason. In seven states, there are no gestational limits on abortions. Also, Roe v. Wade’s companion case, Doe v. Bolton, established exceptions for “health” of the mother. The late abortionist George Tiller used this exception in Kansas to perform late-term abortions on teen girls because they would suffer “mental health” for not being able to attend a rock concert or the prom. As discouraging as this media onslaught may seem, it’s important to continue to speak out and educate our friends, family members, and social media connections. Fortunately, pro-life individuals and groups have already been doing so via Facebook, including Students for Life of America and Abby Johnson, a Planned Parenthood director turned pro-life advocate. As barbaric as late-term abortion, especially partial-birth abortion, is, there are still individuals and media outlets who support it. Even when pro-lifers have the truth and humanity on their side, it can feel difficult to stand up in the face of adversity — but it’s necessary, when lives are at stake.